President Uhuru Kenyatta has no option but to allow for dialogue on electoral injustices if NASA is to abandon plans to swear-in Raila Odinga, Wiper leader Kalonzo Musyoka said yesterday. Kalonzo said foreign envoys in Kenya are also calling for dialogue. “If they do not want dialogue to ensure there will be no more manipulation and rigging of elections, then Kalonzo and Raila will be sworn in,” he said. Kalonzo said dialogue between Uhuru and Raila is necessary so the country can move forward. The wiper leader and NASA co-principal arrived in the country on Wednesday from Germany, where he was attending to his ailing wife. He spoke in Kyondoni village at the home of former Kitui West MP Francis Nyenze, who died earlier this month. Kalonzo had visited to condole with Nyenze’s family. He hit out at the President for insisting that since he had been sworn in, there is no need for dialogue on elections. The President told the opposition to wait until 2022 to dialogue with William Ruto, who will be seeking the presidency. “We cannot postpone the issues of 2017. This has to be resolved in 2018,” Kalonzo said. He said the August 8 election was rigged and the country is divided. 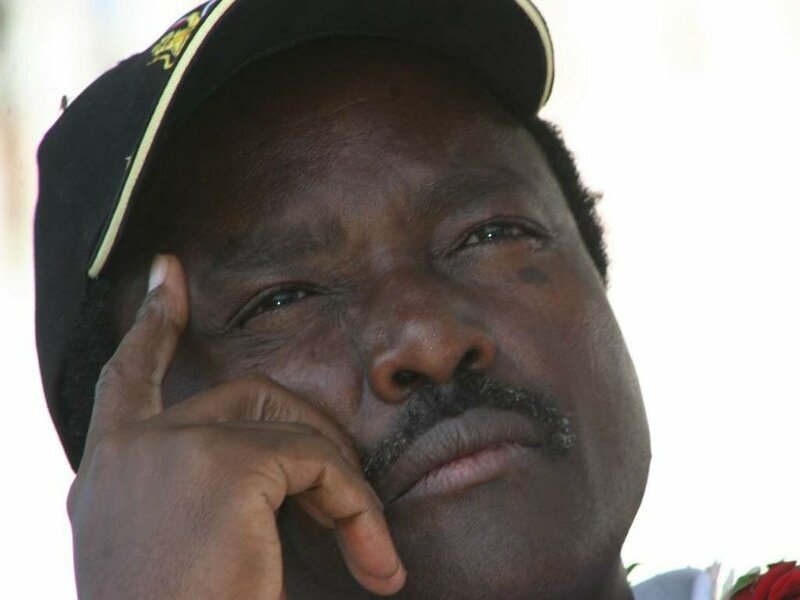 “How can we move forward as a country with this kind of hatred?” Kalonzo asked. He said dialogue should not, however, be spearheaded or guided by people whose “thinking is obvious”. Kitui Governor Charity Ngilu, her Makueni counterpart Kivutha Kibwana and Kitui Senator Enoch Wambua said there is no illusion that Kalonzo will be NASA presidential candidate in 2022. Kibwana said Raila promised to support Kalonzo in 2022. Ngilu said since numbers count during elections, they will ensure all people above 18 years of age in Ukambani acquire IDs and voters cards. “I’m setting out on a campaign to ensure that all the people in Kitui, who have reached the age of 18 years acquire IDs and voters cards. I will not shake hands with any person who has attained 18 years, but has not registered as a voter,” she said. Kalonzo was also accompanied by his son Kennedy, and MPs Paul Nzengu, Jessica Mbalu and Rose Museo.